Sometimes cats can decide to be standoffish with a particular family member, but that behavior usually has clear causes. Janet writes to us with a particularly confusing case. Janet, this sort of behavior never comes out of the blue, but it can be very difficult for us humans to understand. We perceive only a tiny bit of the sounds and smells our cat friends perceive. You're in for some detective work, just like Ellery Queen. You mentioned Ellery's increased white cell count. It may be reassuring to know that this is hardly a cause for concern on its own. A heightened white count can even be caused by the stress of going to the vet. If Ellery develops fatigue, skin problems, or has weight loss, then there's greater cause for concern. One veterinary issue that you didn't mention is sensory decline. If Ellery has had a sudden decrease in his senses of hearing or sight, he might be reacting to that. It's a long shot at his age, but it's something that Ellery would hide. We've seen many blind cats who behave as though they can see just fine. It may be worth bringing up with your vet during your next visit. Another thing worth mentioning is the fact that Ellery is entering middle-age. At nine, he would be the equivalent of a 55 year old human. As such, he may be developing minor aches and pains and he may want less petting. He may even have arthritis. If he feels that he's receiving too much physical attention, he may choose to distance himself from you. So, on to the detective work. The first thing to focus your magnifying glass on is smell. Any big change in your scent could make Ellery avoid you. Did you change soaps or hand lotions? Did you switch to a new laundry detergent? Did you change any of your bedding? Cats especially dislike citrus smells, so get rid of any citrus-scented cleanser or candles. Some cats are more sensitive to change than others, of course, but we've known cases where cats who were litter mates and lived together their entire lives rejected one another after one was interred at the vet for an extended period of time. Her smell had changed and she no longer had the "family scent" so she was perceived to be an intruder to the cats who'd stayed at home. Dig into your daily habits and look at them from the point of view of Ellery's nose. Other cats in the neighborhood could also be contributing to the problem. Himalayans are usually very laid back, but not so much that they'd ignore an incursion into their own territory. If one of the neighbor cats is spraying outside your home, that could upset Ellery. If you somehow got a stranger cat's scent onto yourself, that would do it as well. 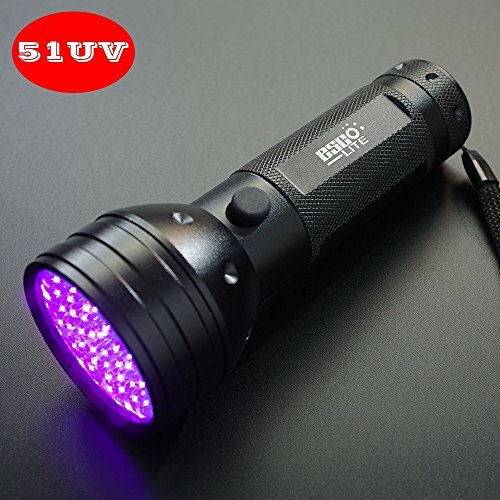 You can check around outdoors after dark with a common UV flashlight like the one below. Cat spray will glow in the black light, especially is it's concentrated on surfaces like the side of your house or your front door. If you need to clean such areas, see this post. If you spend some time investigating smells and don't turn up anything, take heart. There are other potential causes to explore as well. It's possible that this is simple avoidance due to associating you with something painful or frightening. If, during that first night, you moved suddenly in your sleep, or kicked Ellery without even knowing about it, he could associate that pain with your presence. We know one sleepwalker who frequently rips objects off walls in his sleep, so it's not unheard of for people to do odd things when asleep. If this is the case, it was probably a single occurrence, but cats have long memories for such associations. You could even exacerbate the problem by trying to win Ellery's affections back. Give him some space and let him come to you. Try to be calm and at ease around him. Feed him his favorite treats from your hands (so as to associate your smell) and make sure you're the one who feeds him his meals. You may even want to sit on the floor next to him while he's eating. Pet him if he comes near, but don't pick him up or force the interactions. Let him decide when he wants contact from you. You may find that he comes back around much sooner this way. By pursuing him and fretting about this problem when he's near, you may be reinforcing his negative associations. Cats are emotional sponges and they pick up on our emotional states even when they seem like they're being aloof. Thank you for contacting us, Janet. We really feel for you and Ellery and hope you find a way out of this predicament. Please let us know if anything changes or if you discover the cause. All cats are different, so we all learn from each and every case. We'd love to update this post with news of your success!